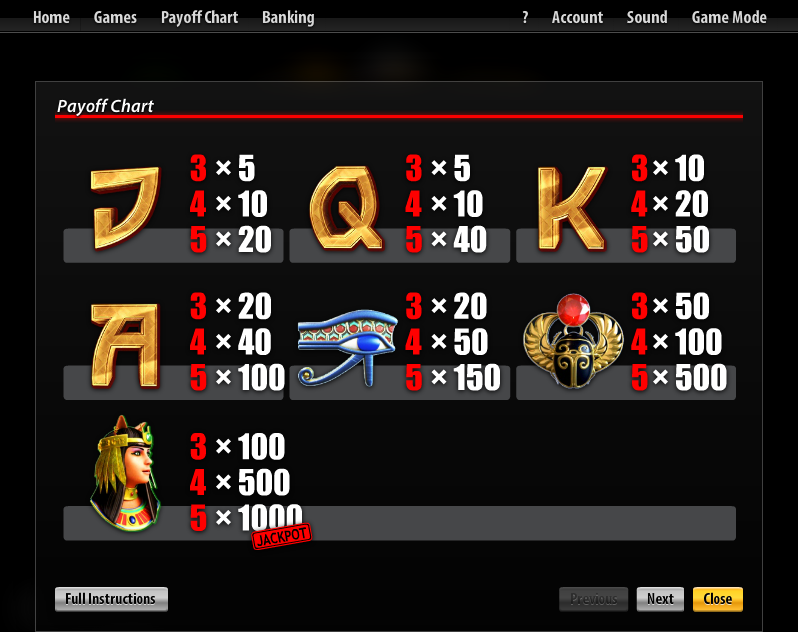 Overview: Gods Of Egypt is a video slot with 5 reels and 31 paylines featuring Sticky Expanding Wild symbols and a Multi-level Pick Me Bonus Game. 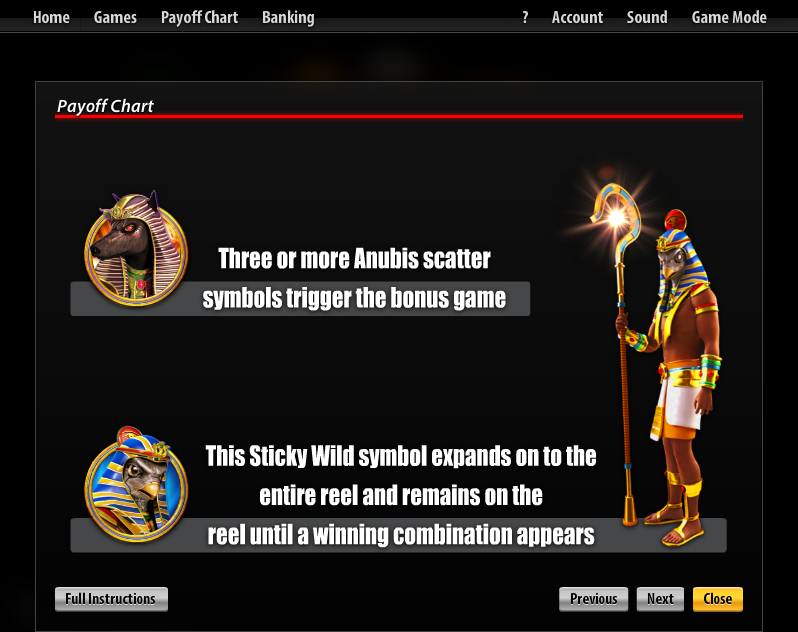 If you hit at least three scatter Anubis symbols, the bonus game starts! 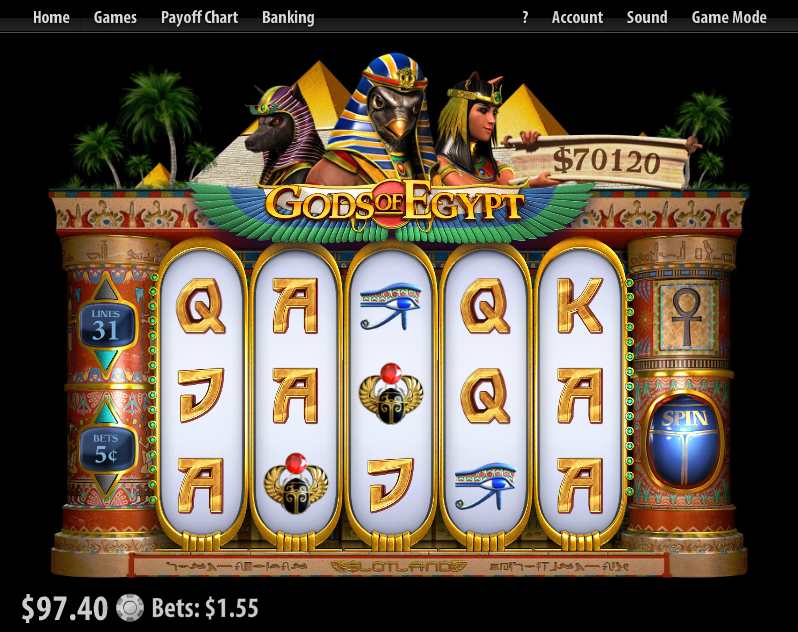 Similar Slots: If you like Gods Of Egypt, you might like these other slot machines from Slotland: Air Mail, Lucky Ducts, Lucky Stars, Super Sevens.